Jerusalem, mid-20th century. 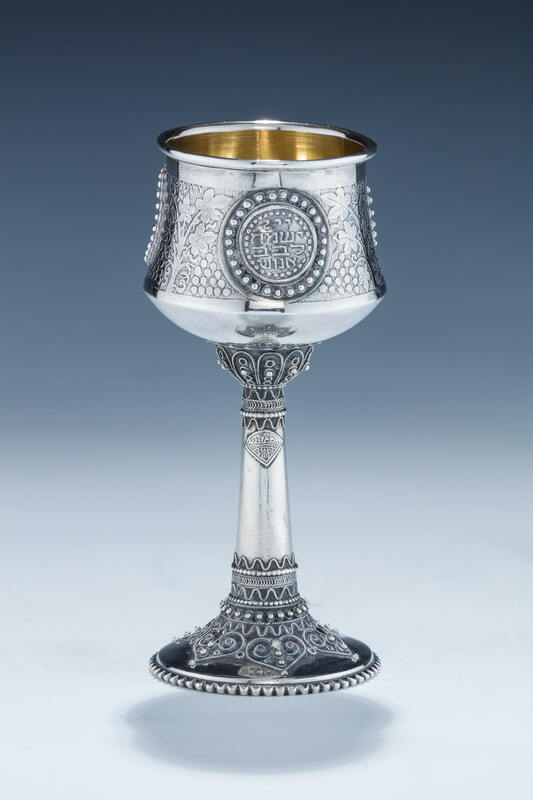 On round base decorated with applied wire work and cut diamond shaped silver applications. The stem fitted with bezalel insignia. Upper portion with applied plaques, acid etchings and beading. 6” tall.